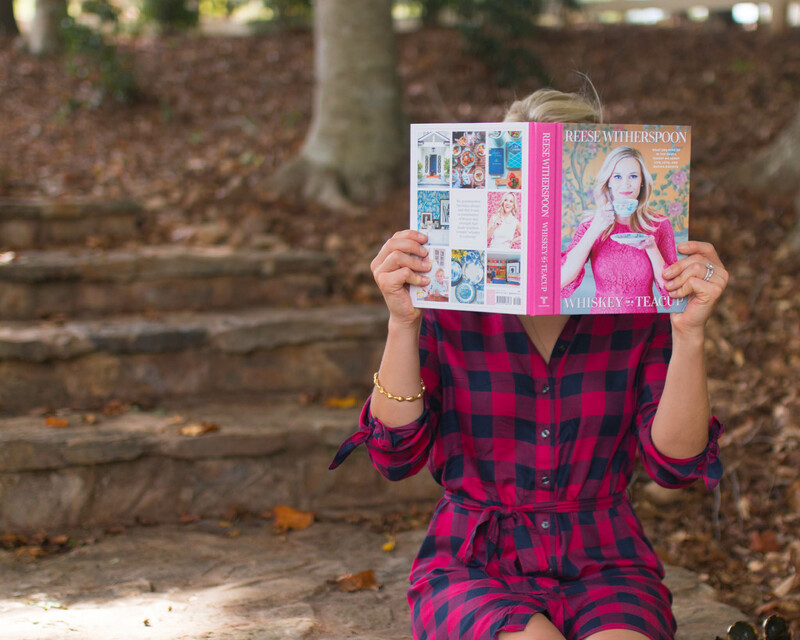 This evening at the Belk Theater in Uptown Charlotte, Reese Witherspoon is celebrating the launch of her first book, ‘Whiskey in a Teacup‘. The book was released yesterday and is available for purchase on Amazon as well as the Draper James site. 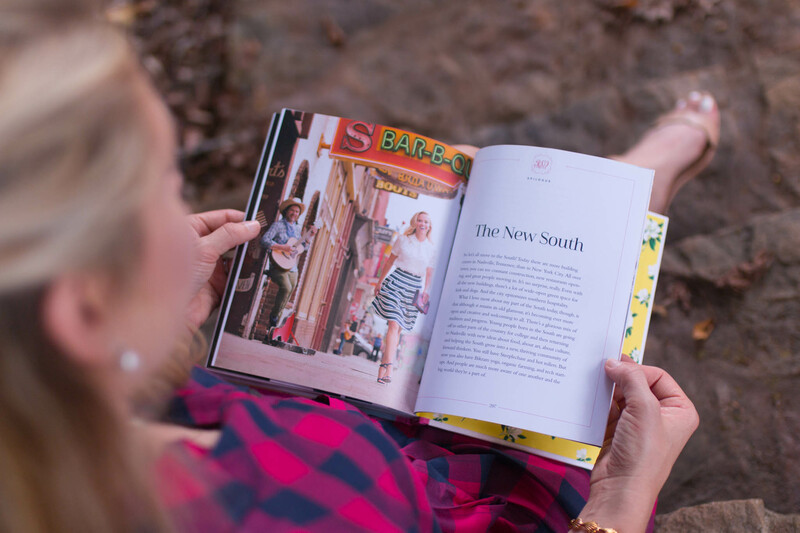 In her book you’ll find everything from recommended playlists and seasonal recipes to proper Southern pronunciation! Make sure to follow my Instagram to see behind the scenes VIP access of today’s event! 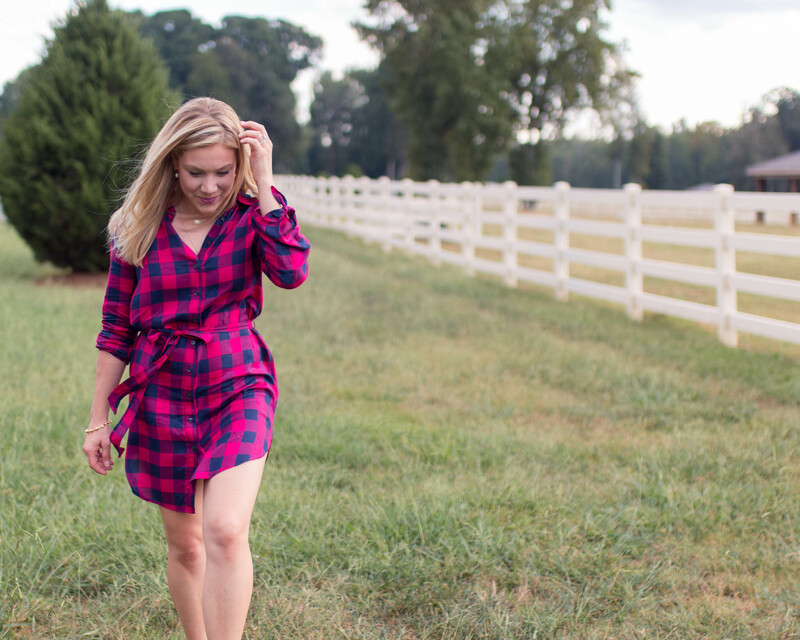 I’m a major sucker for any kind of shirtdress. This particular one from Draper James fall collection can easily transition from dressy to casual with the right accessories. Pair it with a sweater, denim jacket or be game-day ready with sneakers and a ball cap. 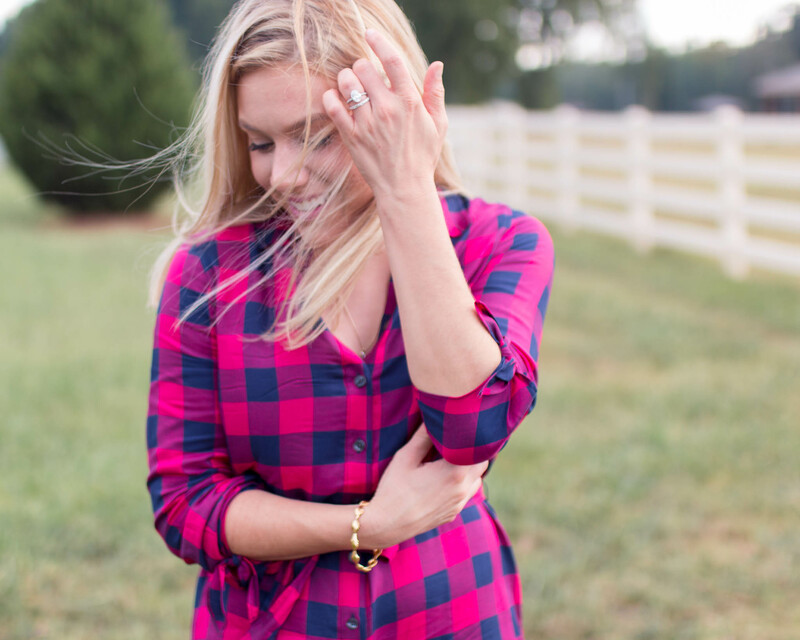 The fuchsia and navy buffalo plaid print is the perfect nod to fall! I also love that the matching belt around the waist gives it a flattering fit. I’m such a huge fan of Reese, and pride myself on being able to recite the movie ‘Sweet Home Alabama’ in its entirety! Really! I’m also so excited to share that I will be giving away one of her signed books on Instagram. You heard it here first, so be sure to follow along if you don’t already!